This amazing apparel brings together two of your favorite things – Basenjis and dog agility! Pick your favorite color and your size of sweatshirt, and we will heat press this unique design onto it. Above the word “Agility” is a Basenji jumping silhouette, with the dog breed name stretched across the top, and a star on either side. Perfect way to support your favorite dog agility breed. This amazing apparel brings together two of your favorite things – Basenjis and dog agility! Pick your favorite color and your size of t-shirt, and we will heat press this unique design onto it. Above the word “Agility” is a Basenji jumping silhouette, with the dog breed name stretched across the top, and a star on either side. Perfect way to support your favorite dog agility breed. Perfect for agility Basenji owners – this sporty vinyl decal has a silhouette of the dog breed in the center, jumping, with the breed name around the top and “agility dog” around the bottom. Unique Basenji Agility Dog decal for dog sport enthusiasts. Show your pride in your Basenji agility dog with our fun and unique embroidered Basenji sweatshirts! This design has a silhouette of the dog breed jumping, with “Basenji ” stitched above, and “Agility” underneath with two stars. Wonderful Basenji apparel for the agility enthusiast. Many other breeds available. Show your pride in your Basenji agility dog with our fun and unique embroidered Basenji t-shirts! This design has a silhouette of the dog breed jumping, with “Basenji” stitched above, and “Agility” underneath with two stars. Wonderful Basenji apparel for the agility enthusiast. Many other breeds available. Basenji Agility License Plate Frame has a top portion simply reading, “Agility,” while the bottom has the dog breed’s name as well as two silhouettes jumping in opposite directions. A simple and easy to see dog agility license plate frame featuring your favorite dog breed. 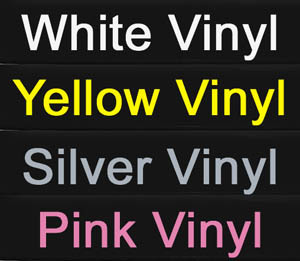 Click here to view the vinyl color choices. This is a digital representation of the product. Color and size of design may differ slightly. You are responsible for knowing your state’s laws regarding how your license plate must be displayed. Black Plastic License Plate Frame, 12.25″ wide by 6.25″ high. Opening height in center is 4″, on either side, 4.5″. Text and/or pictures are cut from durable commercial automotive vinyl. Terrific Basenji decal has a beautiful outline of the dog breed’s silhouette, with a rat’s beside it. Perfect way to show off the natural ratting ability of your canine, and be the envy of everyone else at earthdog and barn hunt. Everyone will want to know where you got that cool ratting sticker! Decal measures approximately 4.5″ wide and 3.9″ tall. Basenji embroidered hat has an outline of the dog breed with a rat beside it. Excellent ratting hat for earthdog, barn hunt, and other rat hunting dog sports. Choose your own thread color using the personalization box. No text is able to be added to this design. Simple, classy, and stylish Baseni embroidered apparel has a beautiful outline of the dog breed’s silhouette, with a rat’s beside it. Perfect way to show off the natural ratting ability of your canine, and just the thing to wear to trials in earthdog and barn hunt. Personalize this clothing with the dog sport stitched underneath, or your dog’s name and titles – just write them in the personalization box. This pocket sized design is approximately 4′ wide and can accommodate text both above and below the image. Simple, classy, and stylish Baseni embroidered apparel has a beautiful outline of the dog breed’s silhouette, with a rat’s beside it. Perfect way to show off the natural ratting ability of your canine, and just the thing to wear to trials in earthdog and barn hunt. Personalize this clothing with the dog sport stitched underneath, or your dog’s name and titles – just write them in the personalization box. This pocket sized design is approximately 4″ wide and can accommodate text both above and below the image. Put a Basenji stamp of approval on your vehicle, front door, laptop – most any smooth surface! This fun Basenji decal has a paw print inside a circle, with the text “Basenji Approved” around the outside. Fun dog lover vinyl stickers. Decal measures approximately 3.4″ wide and 4″ tall. Vinyl Basenji Dad Decal is cut from commercial grade automotive vinyl for long lasting wear. On either side of “Dad” is a silhouette of the dog breed, along with a paw print on both ends. Perfect for the proud Basenji Dad! Perfect for dog lovers, this Basset Hound Girl decal is simple, fun, and just plain cool. A great way to boast about your favorite dog breed without taking up a lot of room or being too detailed. This Basset Hound decal looks great in a vehicle’s rear window. Decal measures approximately 5.5″ wide by 1.7″ tall. A lovely embroidered Basenji sweatshirt, reading “Basenji Lover,” complete with swirls, a paw print, and dog bones. Available in a variety of color combinations as well as many other dog breeds. Wonderful item for the dog lover owned by this yodeling hound. Add a bit of sparkle for an additional fee with rhinestones! The rhinestone color will complement the shirt and thread color. A lovely embroidered Basenji t-shirt, reading “Basenji Lover,” complete with swirls, a paw print, and dog bones. Available in a variety of color combinations as well as many other dog breeds. Wonderful item for the dog lover owned by this yodeling hound. Add a bit of sparkle for an additional fee with rhinestones! The rhinestone color will complement the shirt and thread color.